The Baker administration chastised Massachusetts pot regulators this week, saying their draft plan to create one of the world’s most permissive regulated marijuana markets goes too far, too fast. In a letter to the Cannabis Control Commission dated Monday , the governor’s office warned the independent agency that it had reached beyond the core mandate of the state’s marijuana legalization law by proposing the licensure of businesses not seen in other states’ recreational markets: sit-and-get-high cafés, pot delivery services not tied to dispensaries, and even movie theaters that want to offer patrons cannabis-laced snacks. Instead, a top Baker administration lawyer said, the commission should focus its limited resources on the already daunting task of setting up regulations for the marijuana industry’s basic elements — farms, manufacturers, stores, and testing labs — by July 1, when recreational marijuana sales are scheduled to begin in the state. Taken in total, the letter marks the governor’s most substantive public foray into marijuana policy since 2017, when he signed a law revising the ballot measure legalizing cannabis in Massachusetts and appointed some of the commissioners. Dot Joyce, a spokeswoman for the commission, defended the agency’s rule-writing process Tuesday, saying cannabis officials had sought extensive public feedback on the draft regulations. She also suggested that Baker’s input wouldn’t necessarily prevail over comments from others as the commission tweaks and finalizes its regulations in advance of a March 15 deadline. “It is encouraging that small farmers, businesses, and individuals along with large advocacy groups and government agencies across the state can be equally represented in this open dialogue,” Joyce said. Still, the pointed letter from Baker’s administration is likely to carry weight. While the cannabis commission is technically independent, Baker and the Legislature control its budget, and the agency’s five commissioners are appointed by the governor, treasurer, and attorney general. The nine-page letter also asks the commission to add a catchall provision to the list of reasons it may deny licensure or employment, giving officials broader discretion over who may participate in the marijuana industry. With the letter, Baker has placed himself firmly on one side of a schism within the state’s marijuana community, standing with medical dispensary operators who want the cannabis commission to delay (or scrap) the licensing of delivery-only retailers, social-consumption bars, and movie theaters and other businesses that wouldn’t rely on selling pot as their primary source of revenue. 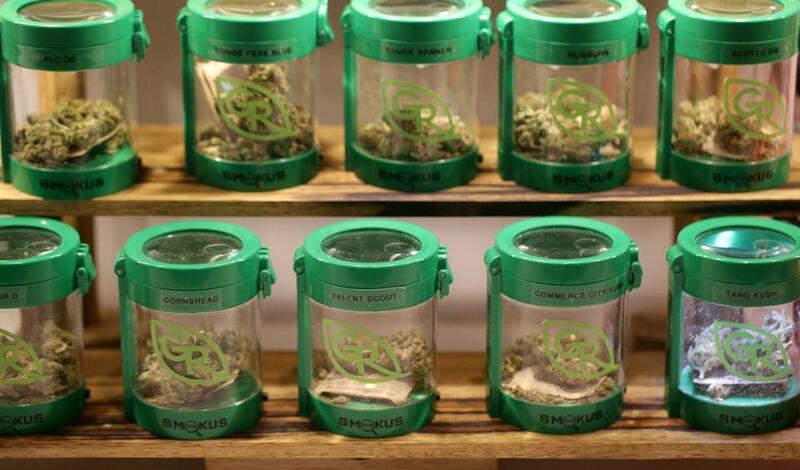 The dispensaries, most of which plan to join the recreational market, argue along with public health advocates and some legislators that such operations would undercut the investments they were required to make under the state’s more onerous medical cannabis regulations, be difficult to regulate, and risk inviting a crackdown by federal law enforcement. And, like Baker’s office, they question the capacity of the cannabis commission to oversee so many different types of businesses. “The residents of Massachusetts expect the [cannabis commission] to walk with confidence before it runs,” said David Torrisi, a former state legislator who heads the Commonwealth Dispensary Association industry group. But on the other side are activists and entrepreneurs who say that an expansive recreational licensing system with low barriers to entry will give consumers more choices and create a more equitable industry. They have accused the dispensaries of seeking protectionist policies, and said Tuesday that Baker’s stance on the novel licenses would reduce the opportunities available to less-established players. That would undercut, they said, the marijuana law’s mandate that minorities and other marginalized communities saddled with disproportionately high arrest rates for drug crimes be included in the cannabis industry. Similarly, activists decried Baker’s proposal to give officials essentially unlimited discretion over who can work in the industry, saying that without clear, objective standards, bias could seep into the process. And without marijuana bars or cafes, Vincent-Lee added, medical marijuana patients and pot consumers who live in federally subsidized housing will have nowhere to legally use the drug, thanks to the state’s ban on public consumption and the federal prohibition on pot. Kris Krane, a cannabis attorney and investor, said the Baker administration is underestimating the cannabis commission — and forgetting that the state has already delayed pot sales once, from January to July. “I think the [commission] can walk and chew gum at the same time,” Krane said. For example, he said pot delivery that isn’t tied to a brick-and-mortar dispensary was not envisioned by lawmakers who crafted the statute. “I have met with the commissioners over the last two weeks and made them aware of my concerns, the legislative intent as well as areas of the law they cannot change in their regulations,” he said. Besides Baker’s budget office, formally called the Executive Office for Administration & Finance, other agencies, such as those that oversee public safety and public health, are poised to submit additional comments to the commission in the coming days. Joshua Miller can be reached at joshua.miller@globe.com. Dan Adams can be reached at daniel.adams@globe.com.